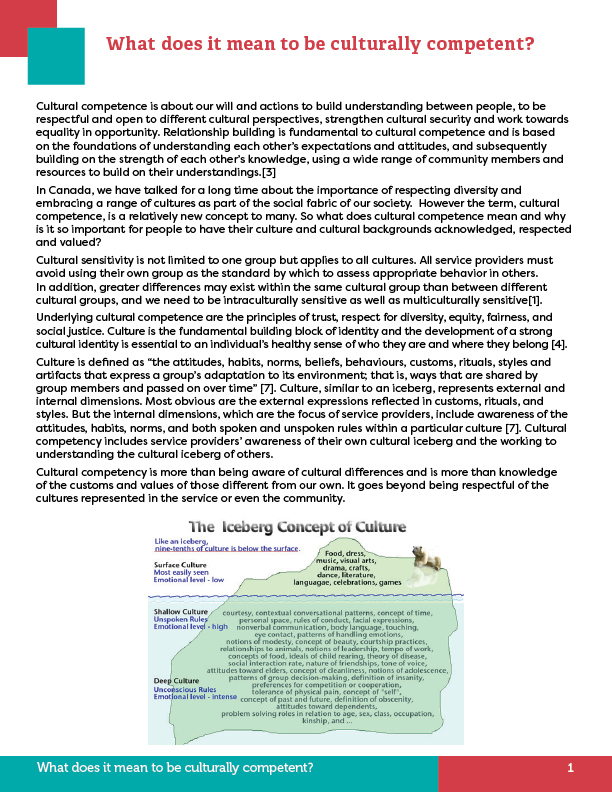 This resource provides an explanation of what we mean by the term “cultural competence” and describes what it looks like in practice. 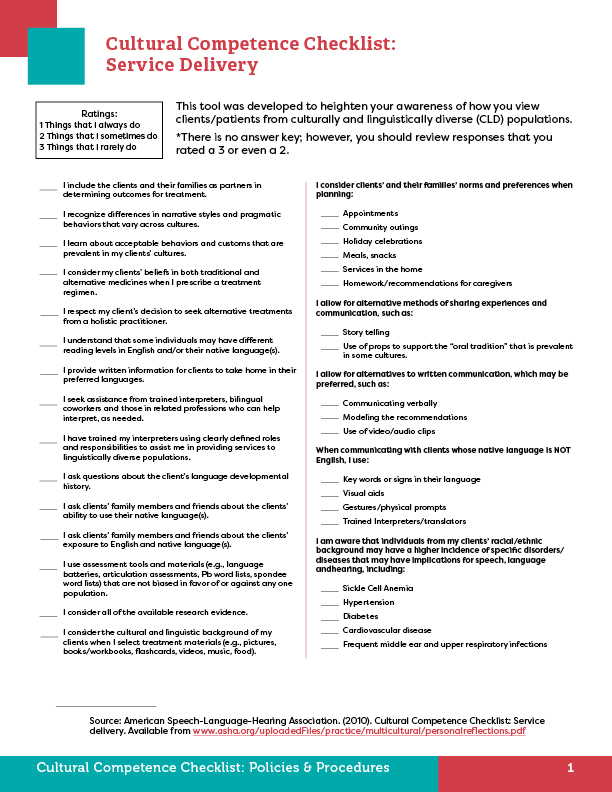 This self-assessment tool is designed to help you to consider your skills, knowledge, and awareness of yourself in your interactions with others. Its goal is to assist you to recognize what you can do to become more effective in working and living in a diverse environment. 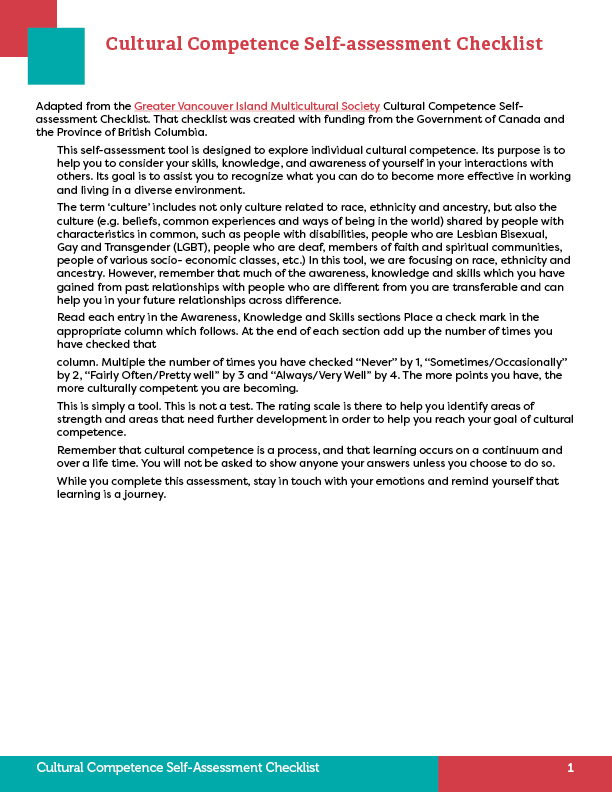 This tool was developed to heighten your awareness of how you view clients/patients from culturally and linguistically diverse populations. 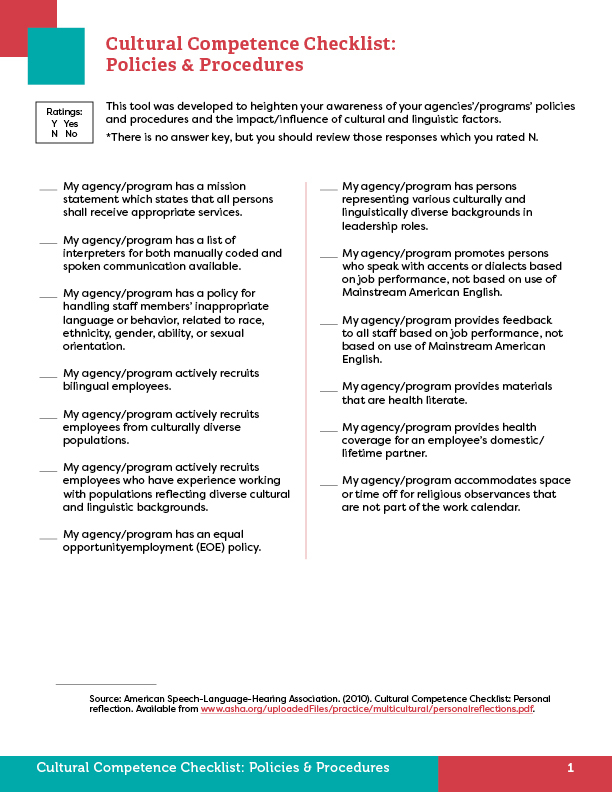 This tool was developed to heighten your awareness of your agencies’/programs’ policies and procedures and the impact/influence of cultural and linguistic factors. 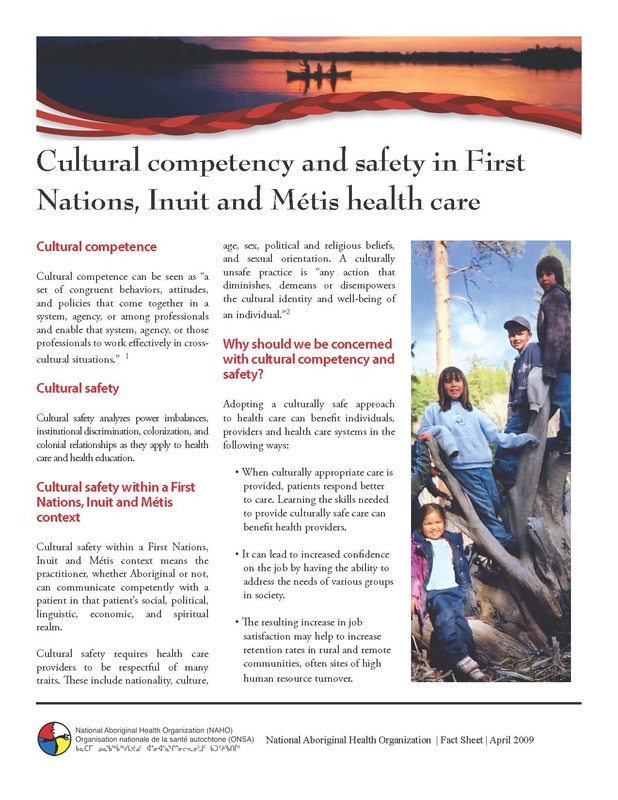 This resource discusses Cultural safety within a First Nations, Inuit and Métis context.